This was my first English book ever, it took me half a year but I loved it. Now that I have reread it, I changed my mind a little bit. But I still love it. I give The Da Vinci Code by Dan Brown four out of five hearts because it is a great page turner. The world is based on hours and after some fact checking is most of the things mentioned in here are real. Of course except for the main story line. Robert Langdon is only a little bit presented at the beginning of this novel because Dan Brown introduced him already during Angels & Demons, but I know for my first time reading it that it didn’t bother me. It just keeps Robert a bit more mysterious. This time I almost immediately followed the precious novel up with The Da Vinci Code. I didn’t care that much for Sophie Neveu, she is an okay character and well presented. But Her entire entrance to the novel felt forced and too convenient. She was so willing to believe that she might have something to do with the Holy Grail that it started to annoy me very fast. I love the story. It is great if you don’t care about what is being said about the bible and the entire Christianity. I am not against religion or anything but I also didn’t mind someone making up a story that completely changes the story of a religion. 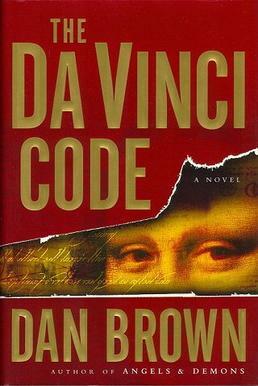 The Da Vinci Code was the first book by Dan Brown brought to the big screen. Directed by Ron Howard, it made me think it would be a great movie. I didn’t like it as much as the novel but I do think it is an okay movie. Tom Hanks plays Robert Langdon and does it well. It is almost how I thought Robert looked. Sir Ian McKellen plays Sir Leigh Teabing and has a much bigger role in the movie than the novel. It bothered me a little bit, but it is okay for such a big name actor. This entry was posted in Book Review and tagged Adventure, Book Review, Dan Brown, Drama, Movie, Mystery, Thriller. Bookmark the permalink.